How frustrating to find something new that you like but largely draw a blank on more information. 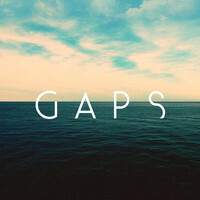 Gaps seem to hail from sunny Brighton by the sea (a few seagulls make a cameo appearance), a personal old stomping ground of many moons past, and are an alluring mix of distant electro, ethereal voices, twinkling guitar and infectious hooks and rhythms. A scant three tracks are streamable from their Soundcloud site, all charming and enticing but non more so that Belong. A simple piano line, a haunting vocal refrain (that reminds me of Husky Rescue for some reason), building steadily and progressively – quite addictive. What more to say except I could do with both a little more information and more of the music. Grateful thanks to the splendid Gold Flake Paint for the heads up. This entry was posted in Uncategorized and tagged Gaps, Gold Flaked Paint. Bookmark the permalink.